The holiday season this year promises to the best ever! There are events and activities for every age and taste. It will be hard to resist the Christmas spirit with all of the tours and performances that will light up beautiful Downtown Pensacola. WINTERFEST (DEC. 1st, 14th, 15th, & 16th) – Magical Winterfest begins as soon as you enter Christmas Town at the Courthouse on Palafox Street in downtown Pensacola. Snow begins to fall (yes, in Florida!) as you enjoy a cup of hot chocolate and the sound of trolley bells. All aboard for a wonderful holiday journey! guides accompany you as you travel to the various scenes and there’s no need to leave the trolley…the vehicle becomes the stage! Back at the Plaza Wonderland, you can visit Santa in his sleigh for your holiday portrait. Or watch the free Rudolph’ Review, a song and dance show with favorite holiday characters. New this year is Reindeer Games for kids of all ages with face painting, snowball fights and snowman transformations. Plaza Wonderland is open every night of the Performance Tours. The tours begin in Plaza Wonderland in front of the Escambia County Courthouse with children’s tickets ranging in price from $10-$13 and adult tickets from $16-$19. SANTA’S EXPRESS TOUR (DEC. 18th– 22nd) – The week before Christmas features a special “Santa’s Express Tour” for younger children, with Santa and Rudolph coming along for the ride! The tour runs for 30 minutes and ticket prices are $6 for children and $12 for adults. 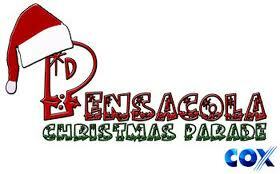 PENSACOLA CHRISTMAS PARADE (DEC. 8th) – We would be remiss if we didn’t mention the biggest party of the all, the 2012 Cox Pensacola Christmas Parade! It happens December 8th at 5:15pm, starting at the MLK Plaza. Drawing over 50,000 people to downtown Pensacola each year, the parade features floats, Escambia county high school bands, the Blue Angels flight team, and groups from all over the region and as far away as Houston and New Orleans. Before the parade is the Christmas Parade Dash, a 1.2 mile fun run sponsored by the Pensacola Runners Association. Sowell’s North Pole Lights- the Sowell family in Milton create a display with over 500,000 lights lighting up the night from December 1st to January 1st from dark until 10PM. Park Road. The Choral Society Orchestra is conducted by Xiaolun Chen. A Christmas Story- presented by the Pensacola Little Theatre from December 7– 9, and December 13-16. Enjoy a Christmas classic with Ralphie as he tries to get his most wanted Christmas gift, a Red Ryder BB gun. 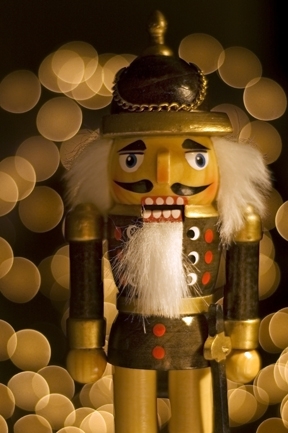 The Nutcracker- Tchaikovsky’s Holiday classic is performed by Ballet Pensacola at the Saenger Theatre on Friday, December 14th at 7:00PM, Saturday, December 15th at 7:00PM, and Sunday, December 16th at 1:30PM. It’s A Wonderful Life- This classic Christmas film will be shown at the Saenger Theatre on Saturday, December 22nd at 6:30PM. A few months ago, Don & Becky Lansing signed a contract to sell their family farm located in Dyersville, Iowa, which had been in their family since 1906. The farm includes a 2 bedroom house, 6 additional buildings, one hundred and ninety three acres…and a baseball field. But no, this wasn’t just any field, THIS was a “Field of Dreams”. That’s right, the sprawling eastern Iowa cornfield made famous by the movie starring Kevin Costner has been sold to Mike and Denise Stillman and their company, Go the Distance Baseball LLC, which will develop the site near Dyersville as a baseball and softball complex, including multiple playing fields and an indoor training facility. The purchase price has yet to be made public, but the property was listed for a cool 5.4 million.